Small Business Law: Do I Need To Do Anything Prior To Filing An Unclaimed Funds Report? November 26, 2016 /in Small Business Law /by Daryle C. Tibbs Esq. https://tibbslawoffice.com/wp-content/uploads/2011/07/Grand-Opening-Image-110717.jpg 277 400 Daryle C. Tibbs Esq. https://tibbslawoffice.com/wp-content/uploads/2016/02/logo-300x74.png Daryle C. Tibbs Esq.2016-11-26 11:55:342018-02-14 15:32:45Small Business Law: Do I Need To Do Anything Prior To Filing An Unclaimed Funds Report? Small Business Law: As A Business Owner, Am I Required To File An Annual Report Of Unclaimed Funds? November 17, 2016 /in Small Business Law /by Daryle C. Tibbs Esq. https://tibbslawoffice.com/wp-content/uploads/2011/07/Grand-Opening-Image-110717.jpg 277 400 Daryle C. Tibbs Esq. https://tibbslawoffice.com/wp-content/uploads/2016/02/logo-300x74.png Daryle C. Tibbs Esq.2016-11-17 13:50:462018-02-14 15:33:01Small Business Law: As A Business Owner, Am I Required To File An Annual Report Of Unclaimed Funds? Business Law 101: What Business Relationships Should I Establish? September 18, 2015 /in Small Business Law /by Daryle C. Tibbs Esq. 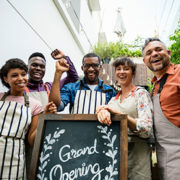 Daryle C. Tibbs, owner of Tibbs Law Office, continues the discussion by explaining the different types of relationships that could be helpful to you as you start your own business. https://tibbslawoffice.com/wp-content/uploads/2011/07/Grand-Opening-Image-110717.jpg 277 400 Daryle C. Tibbs Esq. https://tibbslawoffice.com/wp-content/uploads/2016/02/logo-300x74.png Daryle C. Tibbs Esq.2015-09-18 14:08:192018-01-27 13:35:20Business Law 101: What Business Relationships Should I Establish? Business Law 101: What Advisors Should I Choose For My Business? September 11, 2015 /in Small Business Law /by Daryle C. Tibbs Esq. Daryle C. Tibbs, owner of Tibbs Law Office, continues the discussion by explaining the different types of advisors that could be helpful to you as you start your own business. https://tibbslawoffice.com/wp-content/uploads/2011/07/Grand-Opening-Image-110717.jpg 277 400 Daryle C. Tibbs Esq. https://tibbslawoffice.com/wp-content/uploads/2016/02/logo-300x74.png Daryle C. Tibbs Esq.2015-09-11 13:34:352018-01-27 13:36:58Business Law 101: What Advisors Should I Choose For My Business? Business Law 101: What Type Of Structure Should I Choose For My Business? September 3, 2015 /in Small Business Law /by Daryle C. Tibbs Esq. Daryle C. Tibbs, owner of Tibbs Law Office begins discussing the basics of Business Law by explaining the different types of business structures and how to choose the best one. https://tibbslawoffice.com/wp-content/uploads/2011/07/Grand-Opening-Image-110717.jpg 277 400 Daryle C. Tibbs Esq. https://tibbslawoffice.com/wp-content/uploads/2016/02/logo-300x74.png Daryle C. Tibbs Esq.2015-09-03 12:19:392018-01-27 13:39:06Business Law 101: What Type Of Structure Should I Choose For My Business? Small Business Law: How Can I Become A B-Corp? March 23, 2014 /in Small Business Law /by Daryle C. Tibbs Esq. https://tibbslawoffice.com/wp-content/uploads/2011/07/Grand-Opening-Image-110717.jpg 277 400 Daryle C. Tibbs Esq. https://tibbslawoffice.com/wp-content/uploads/2016/02/logo-300x74.png Daryle C. Tibbs Esq.2014-03-23 20:40:422018-02-06 00:22:49Small Business Law: How Can I Become A B-Corp? Small Business Law: What Is A B-Corporation? March 16, 2014 /in Small Business Law /by Daryle C. Tibbs Esq. https://tibbslawoffice.com/wp-content/uploads/2011/07/Grand-Opening-Image-110717.jpg 277 400 Daryle C. Tibbs Esq. https://tibbslawoffice.com/wp-content/uploads/2016/02/logo-300x74.png Daryle C. Tibbs Esq.2014-03-16 23:22:282018-02-06 00:25:23Small Business Law: What Is A B-Corporation?